/ When Do You Tell People The Point In The Sermon? When Do You Tell People The Point In The Sermon? An interesting question came in this week. When do you tell people the point of the sermon? Is it in the introduction or some other point of the sermon? This is a good question, but there is no one answer to the question. Some of us were taught that a sermon is like any other oral speech. In that you follow three steps. Then some folks would tack on a celebration and/or appeal at the end. If you follow that kind of method then you would introduce the point early in the sermon. Perhaps in the introduction you would tell them exactly what the sermon is about and where you are going. This is a tried and true method that many have used over the years. The nice thing is that you don’t have to worry about folks misunderstanding what you are trying to say. However, sometimes these types of sermons can lose people as they get bored. You have totally eliminated any suspense which can help keep people involved. Now some folks have looked at this and have said, maybe we aught to push the sermon point towards the end. The sermon is like a puzzle that the hearers put together and at the very end the full story hits you. the nice thing about such an approach is that it encourages more participation with the people as they piece the sermon together. Also, the congregation can hear sermons like this while they would not be in a position to hear the first kind of sermon. For example, look at Nathan the prophet talking to King David. Nathan told the king a story. The king listened intently to the sermon. He did not get the point until the very end of the story and it hit him hard. David might not have been able to hear that kind of message if Nathan had attempted an approach like the first one of telling him in the beginning the point. however, these kinds of sermons are not all that easy to construct. 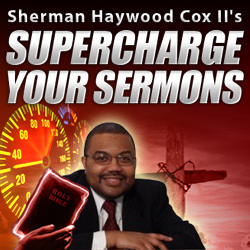 Here you may lose people not due to a lack of suspense but due to not progressing the sermon to conclusion fast enough. Now there are other approaches as well such as never telling the point but letting the people learn the point later as their lived experience interacts with the message. At any rate, there is no one way to do this. Personally, I usually use the first method which I describe in the ebook “Three Points And a Poem.” But, I do recognize that there is a time for the second approach as well. 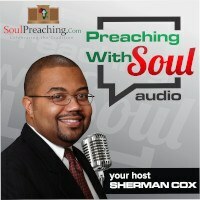 Find out what is needed in your congregation and preach the word.